My six-year ‘low carb primal’ anniversary is coming up, August 1, 2015. What does that mean? In short I eat meats, leafy green veggies, coconut oil, butter with the occasional nuts and berries. No grains, breads, cakes, cookies, pasta, cereals, potatoes, rice nor high-carb fruits. 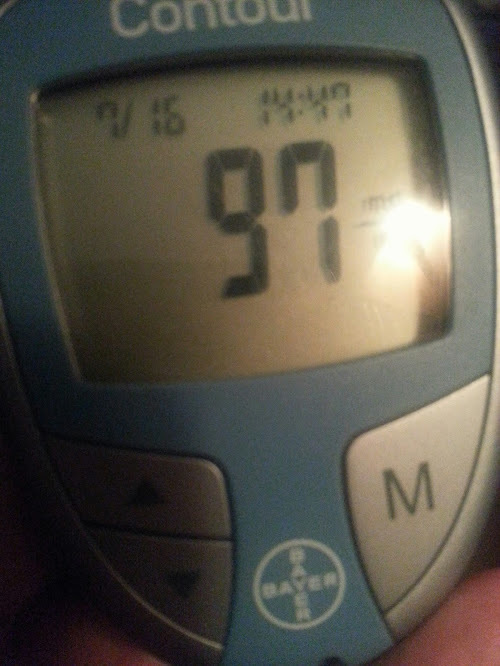 This post provides recent exercise experiments showing that I truly am THRIVING! … and not just surviving. While on my transformation from an obese diabetic, my son Brad gave me the impetus to improve my strength by whipping me in basketball back in the summer of 2009. A year later, (five years ago yesterday) I published this post of my son and I playing basketball. I beat him 2 games to -0- and I was clearly the stronger, more fit person. In the years since, we’ve both won our share of games and have been largely equals. However, the last couple of times we’ve played Brad has held the upper hand. Judging from my exercise I’ve maintained my relatively good fitness levels, but Brad has improved his. Brad meant well when he said this, but to me … it was like sticking a hot stake into my eye! It was as if he’d said, “great workout, for your age”. Once again Brad has provided the impetus for another fitness ‘upgrade’. Since then I’ve been going to the gym again and upping my intense workouts outside the gym as well. This post is about two of the intense workouts. 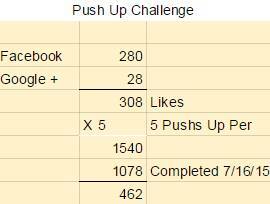 This has become a yearly thing, I post this on Facebook and Google+, for each ‘like’ I do five push ups. In 2014, I did 1,058 in about 2.5 hours. I say, “about” because I did not time myself. I didn’t want to pressure myself to do them in any certain length of time. A little background, I permanently dis-located my shoulder in 2013 and I was concerned the stress might be too much, it wasn’t. 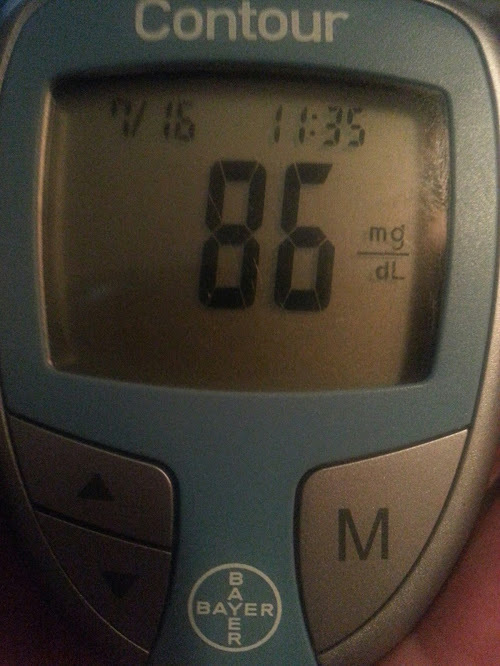 Here was my pre and one hour post blood sugars. I was happy with the results. 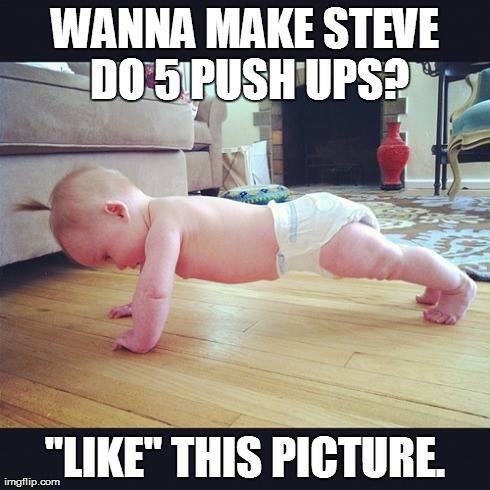 Doing push ups are intense, but not as intense as kettlebell swings, burpees or sprints. There was only one problem. I actually had a LOT more likes this year than I did last year!!! And they kept coming and coming. By the next morning I cut off the ‘likes’ after 24 hours. I had to do 462 MORE push ups. My shoulder felt fine but I was not sure how it would respond … but all was well. I went ‘all out’ and actually completed the 500 in under an hour. I only made it to 776 squats. I won’t go into ALL of the details but I took frequent breaks, sprayed myself with a water hose but I still felt light-heated at times. And YES I am disappointed at not achieving my goal. Two days later and a day after the water-fast ended, I decided to re-attack my goal of 1,000 squats in an hour. I had NO idea if I could do 1,000 squats on a 98 degree, humid, sunny day. I took breaks, to pour water on my head and to drink water after every 333 squats. I also checked the time. At the first break I KNEW this was a ‘done deal’. I did the first 333 in under 18 minutes. I completed 666 in under 35 minutes, improving on my pace with a 17 minute split. I relaxed the final 334, taking longer and more frequent breaks. 19 minute split. 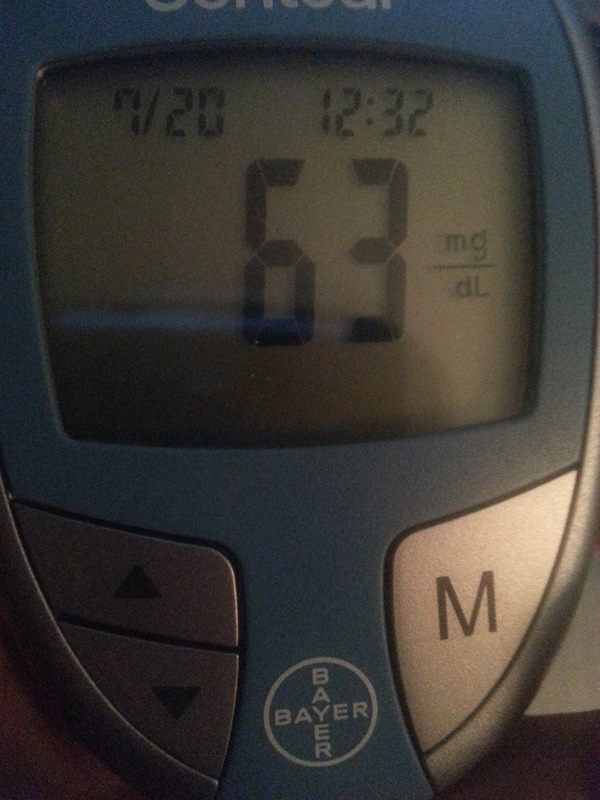 Here is my before and after blood sugars. I was pleasantly surprised! Squats are not nearly as intense as kettlebell swings, burpees or sprints. However, I expected more of a bounce after doing 1,000 squats in an hour. Especially outdoors on a 98 degree day in full sun. I was once obese, sickly and required drugs and insulin to survive. Today and since the fall of 2009 I have been none of those things. Lastly, I challenge myself all the time. I love to challenge my mind and body. I challenge myself to fasts, zero carb, low carb, push ups, squats, kettlebell swings … on and on. I make ‘games’ out of exercises to make them fun. I urge YOU to do this one challenge. Challenge yourself to follow my meal plan for thirty days. Give it thirty days to change your life. 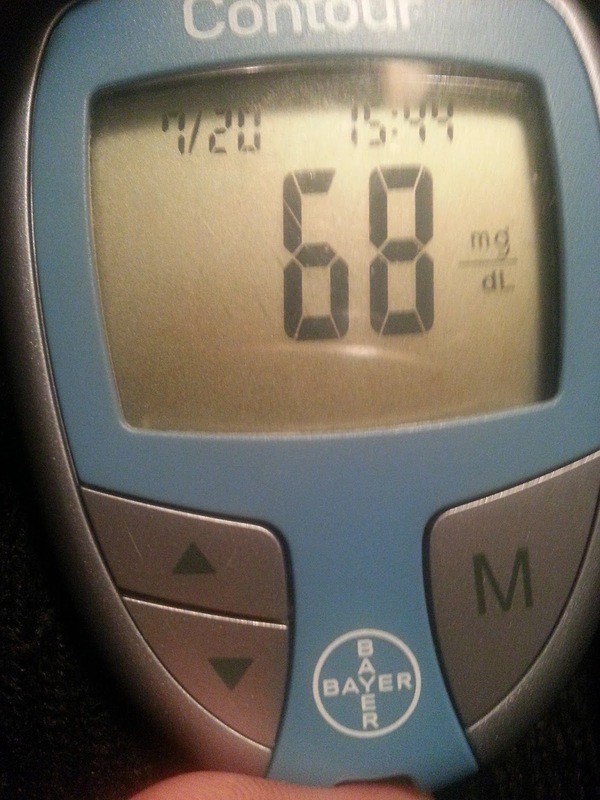 If you are diabetic, your blood sugar meter will show you the results. do it … Do It … DO IT! For those that need detailed “How To” Instructions click this link to order! 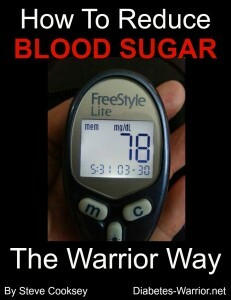 “How to Reduce Blood Sugar: Reducing Blood Sugar Naturally ”.